Bulk lot of lower grade un-identified Islamic and Indian coins. Mixed bronze and silver. Over 50 coin. 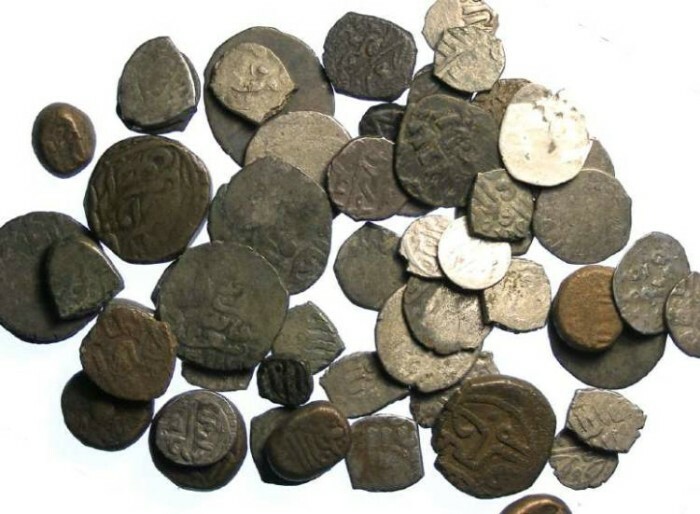 This is bulk group of something just over 50 coins, of mixed India and Islamic (mostly Islamic). It is a good mix of silver and bronze coins (at least 40% silver) and is sold as one lot (the price is for all of the coins in the lot). Average grade VG to Fine but many of badly struck. An interesting lot for someone with the time to identify them.